Well. This one is a lot to tell you about. Sheri Fink is an award-winning journalist and holds both a PhD and an MD. 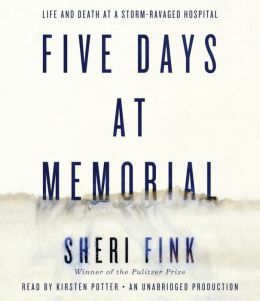 In Five Days at Memorial, she examines fateful, famous and controversial events at Memorial Hospital in New Orleans in the five days following 2005’s Hurricane Katrina. Forty-five bodies were recovered from the hospital, with about 9 of them (depending on your source) suspected of having been euthanized by hospital staff during evacuations. I had been looking forward to reading this book but was leery going in, because this subject was clearly going to be emotionally fraught, depressing, poignant. I was quickly mesmerized, though: these events, while troubling and difficult to take in, fascinated me deeply. I have been increasingly interested (outside my reading of this book, for some time now) in the subjects of end-of-life, advanced directives, and our culture’s approach to death. And I am always intrigued by ambiguity, situations in which it is clear to see black-and-white or right-and-wrong. If ever there were such a situation, this is it. Roughly the first half of the book is dedicated to relating the events of these five days, as revealed by Fink’s investigations. (Recall, as I mentioned in my book beginning, that she describes her copious research. 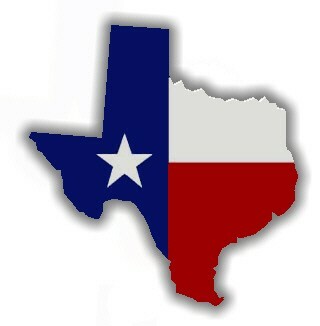 I am fairly well convinced of its virtue.) We get to know a number of characters in the story: doctors, nurses, managers and administrators, patients and their family members. We know the ending, in a sense: the hurricane will be far worse than anyone imagined; the hospital will not be evacuated in one, two, three or four days; there will be crimes investigated. But the way the events unfold were unfamiliar to me in their details. Although this is a journalistic account, Fink also imbues it with suspense, which feels very natural: imagine the terror felt by those inside the hospital throughout. Not knowing the whereabouts or well-being of friends and family, isolated by rising floodwaters, without electricity, and plagued by rumor (on which more in a minute), a number of those inside Memorial feared for their lives. And some lost their lives. The second half of the book describes the investigation of one doctor and (centrally) two nurses. Dr. Anna Pou was eventually called before a grand jury, which (some two years after Katrina) declined to indict her for multiple counts of second degree murder. In this section, we meet new characters, most notably two investigators who work as a comfortable team together. Fink also explores the history of euthanasia as a concept in different cultures and different legal understandings today, and the approach of bioethics, as well as post-Katrina attempts to establish emergency standards for triage, including the allocation of limited resources that will save some lives while ending others. I was impressed by Fink’s style. I felt, in the end, that she let the facts (as she discovered them) stand alone. Many times throughout it felt like Fink’s voice spoke on one side of this painfully difficult controversy, but pages later she lent that voice to the other side, so that the effect was… shall I say, appropriately discomfiting. The fact is, I strongly feel, that none of us can perfectly know what happened in those five days, what anyone’s real motivation or intention was, and probably that none of us has the right entirely to judge actions taken in such profoundly weird circumstances. Many questions remain, and I can easily understand and sympathize with divergent views: family members whose loved ones were (allegedly, possibly) euthanized are angry that they weren’t evacuated; hospital workers with no options left to them felt it was better to euthanize than to abandon patients to die slowly, painfully, and alone. I see it both ways. But the details, I think, are lost to me – someone who lived none of it, who’s just read the book. Dr. Pou, it appears, does not find this book’s treatment fair at all. While it’s true that Fink doesn’t exonerate her, I felt that she wasn’t condemned, either. It’s just… so complicated. One of the more disturbing elements, to me, was the power of rumor and euphemism in the hospital and the accusations bandied about afterward. Doctors and nurses allegedly spoke of “making patients more comfortable,” or said “we won’t leave any living patients behind.” I don’t see how these vague phrases can be used to accuse someone of murder (or euthanasia, or what you like) – what if they literally just meant make someone comfortable? What if they meant that we will evacuate all living patients, thereby leaving none behind? I don’t think these statements necessarily point to killing people – certainly not beyond a reasonable doubt. And then the rumors: New Orleans after the storm saw violent crime and looting, but not (writes Fink) to the extent that it was rumored, within the hospital and more generally. Some of this fear and rumor was racially charged. Such a circumstance serves no one well. In fact, the most damning evidence in Fink’s book for me was not the evidence that euthanasia had taken place – frankly, my value system allows for euthanasia as a fine option in certain circumstances – but the evidence that other hospitals faced similar challenges (loss of power, rising waters) and functioned better. I can’t recall the name at this moment (and the audiobook format is bad for looking up such things), but there was a hospital under analogous conditions that ran regular shifts – encouraging staff to sleep when not caring for patients – and sternly disallowed the spreading of rumors. (I think the phrase was something like “if you didn’t see it, don’t say it.”) Memorial saw a decidedly higher level of panic, and that was one of its critical failures. This can’t possibly be Dr. Pou’s fault: she’s just one person, incapable alone of preventing or inciting panic. In fact, as Fink presents it, if she did commit certain acts, she wasn’t alone; she was just singled out in investigations. Narrator Kirsten Potter was well up to this task; full credit for the narration. I enjoyed this format for this book, but the major drawback for journalistic work is that I can’t flip back and check names, dates, etc. Recommended, if you’re up for some tough topics and hearing about suffering. Definitely sounds like a challenging read, on many levels. Is this book really non-fiction? Is it good (ethical, reliable, responsible) journalism? Did she interview Pau herself? Is it even responsible as a reader to read “only” the book in this circumstance? Tough questions! All good questions and concerns. Well, I’ll defend myself a little: it would certainly be irresponsible to read *only* this book and then claim to have a comprehensive understanding of these events, and to pass judgment. I hope I haven’t made such a claim. I feel like I’ve been introduced, and have formed some feelings and responses. I wouldn’t pass judgment on anybody based on what I’ve learned; and I don’t know how anyone, ever, could do so, no matter how many books they’ve read. Although certainly you could know more if you read more – no argument there. Have I achieved the “openly subjective” account you desire? I agree with your stated preference, and I’ve heard you say it before, years back, and I think it’s informed my preference for the same. Did Fink achieve it? Well, I’m not sure she openly, explicitly stated her subjective approach. But I did feel like she spread around her emotional backing, if that makes any sense.